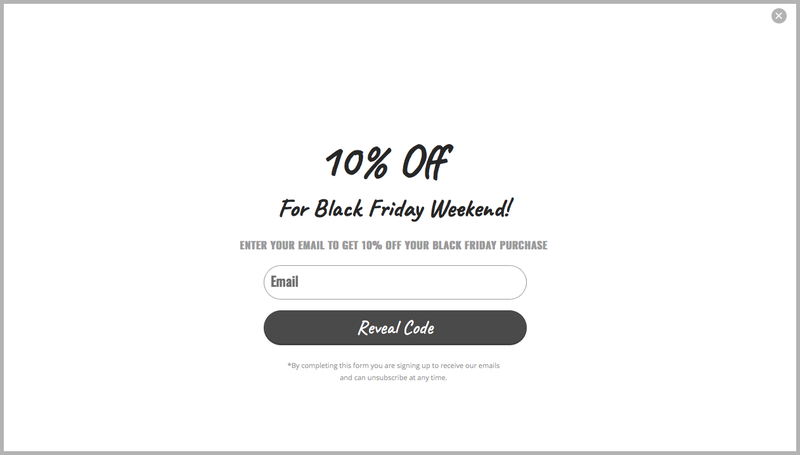 In honor of the upcoming retail shopping season, we’ve created 3 new display template designs to help get your Black Friday and Cyber Monday (BFCM) sales up and running quicker and easier than ever. Just choose “Build Your Own” from our new campaign builder and choose one of our pop up, flyout, or full screen templates. 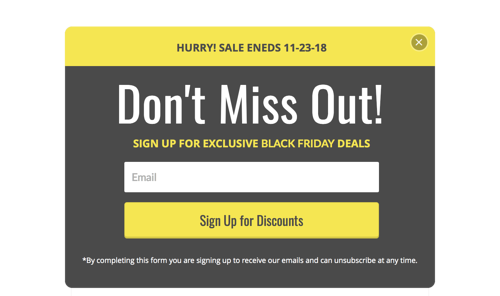 Start saving abandoned carts and drive urgency to your sale by using an exit intent display. 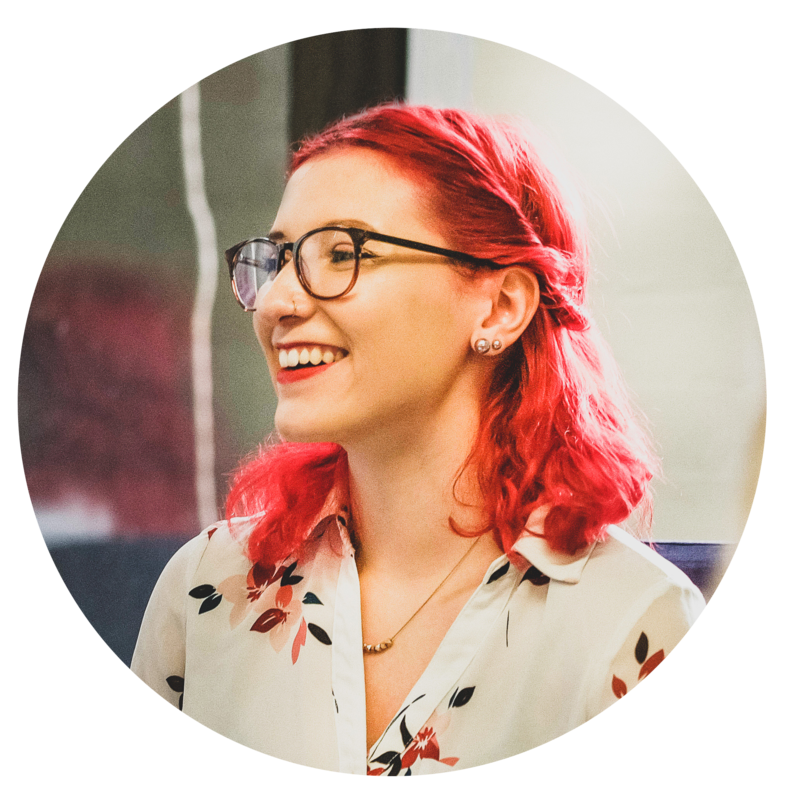 By placing your offer in front of the visitor right as they’re about to leave, it makes the visitor think twice before leaving your site and more likely to make a purchase. Got a discount? Say it loud and proud! This time of year there are tons of sales going on, so its important to make yours stand out. With Privy’s new full screen displays, you get your visitors full attention making sure they don’t miss out on your offer. Not looking to offer a discount yet? 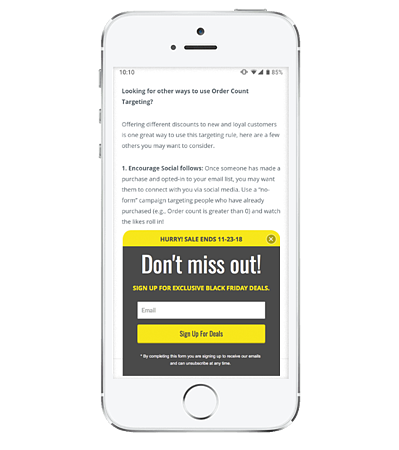 Focus on growing your email list by using a sign up display. That way, when the time does come to have a sale, there are more contacts to send the offer to. According to our data, in 2017 Privy users saw their traffic increase over 100% during Black Friday weekend. About ⅔ of that traffic was on a mobile device, making mobile displays more important than ever this retail season. But when in doubt, use a flyout! Use any of our flyout displays to make sure your offer looks great on any screen. Even better, if you’re on our Plus plan or higher you can create separate desktop and mobile displays to optimize for each experience. 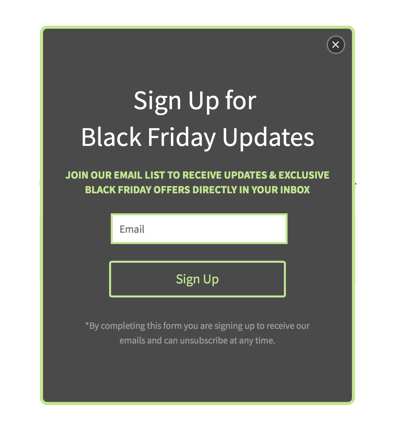 Check out the new templates in the Privy display builder today, and watch our recent our Black Friday/Cyber Monday webinar where we walk through all the steps to making Black Friday and Cyber Monday the best weekend for your online store.